It is as a document of World War One that this book really shines. Robert Graves includes a wealth of little details that bring the day-to-day life of him, and his regiment, to life: the gallows humour, the values of the soldiers, the disillusionment with the war and the staff and yet the loyalty to their officers, the lice, the food, the other privations. It's all there in this excellent memoir. Robert Graves also captures the tragedy and waste of the conflict - friends and fellow soldiers dying or getting wounded all the time. Extraordinary luck means that Robert Graves beat the odds and managed to survive but not without injuries and many brushes with death. 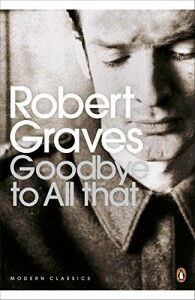 Goodbye to All That was written in 1929, when Robert Graveswas 33 years old. Although primarily known as a memoir aboutRobert Graves' experience of World War One, in which he served in the Royal Welch Fusiliers, the book opens with his family background, childhood, and education, before - at the outbreak of World War One - he enlists. The book also details his life for the ten years after World War One. 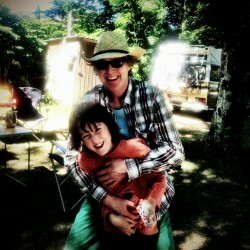 Goodbye to All That is an amazing memoir. For such a short volume Robert Graves packs in so much information and detail, and the book really brings alive day-to-day trench life with all its attendant horrors, boredom, pettiness, depravation, cameraderie and humour. Essential reading for anyone who wants to understand what life was like in the trenches.